The ACD-14 PLUS is the professionals’ choice for both HVAC and Electrical applications due to its complete set of measuring features. Its dual displays allows viewing amperage and voltage simultaneously. The ACD-14 PLUS meter offers thinner jaws over standard clamp meters. Allowing access to tight measurement areas and still accommodating conductors up to 28 mm. Both meters also measure Capacitance and Frequency. 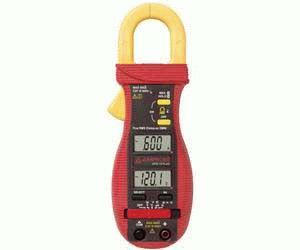 Very versatile clamp multimeters to support all your daily measurement needs.